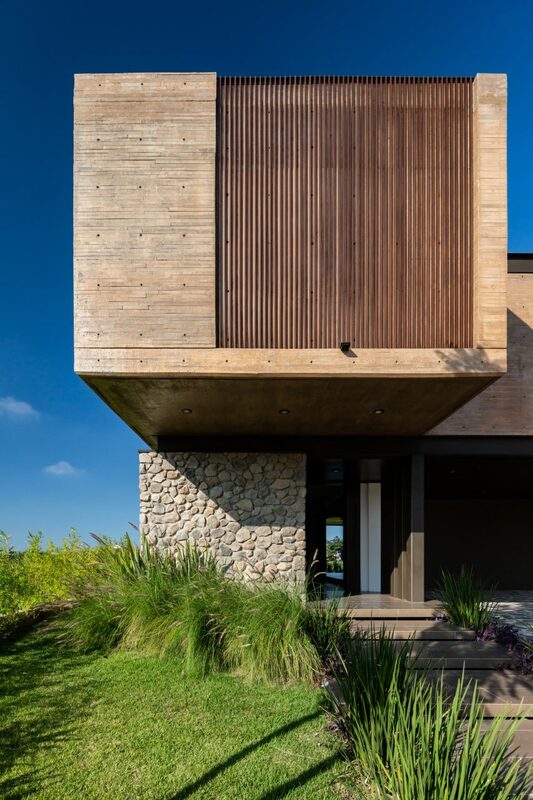 Linear volumes featuring board-marked concrete, masonry and wood make up this angular house, designed by Mexican firm Di Frenna Arquitectos. Casa Nicté-Ha is located in Colima City in central-western Mexico, near a small lake and the Colima volcano. 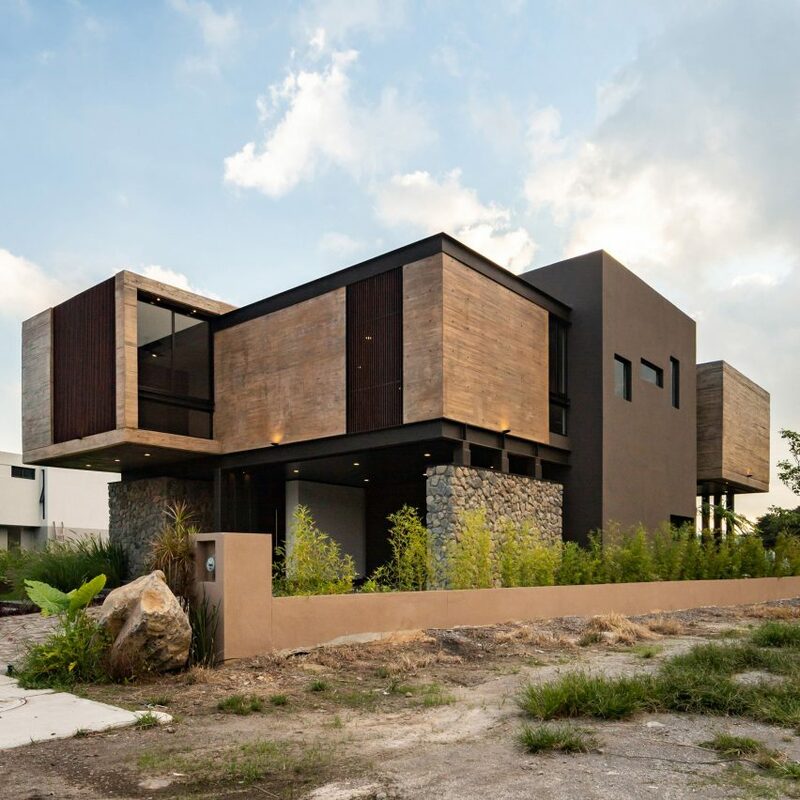 Di Frenna Arquitectos, which is also based in Colima, designed the 5,576-square-foot (518-square-metre) house as a stack of volumes constructed from a mix of materials – including beige concrete, local stone, steel beams, glass and wood. 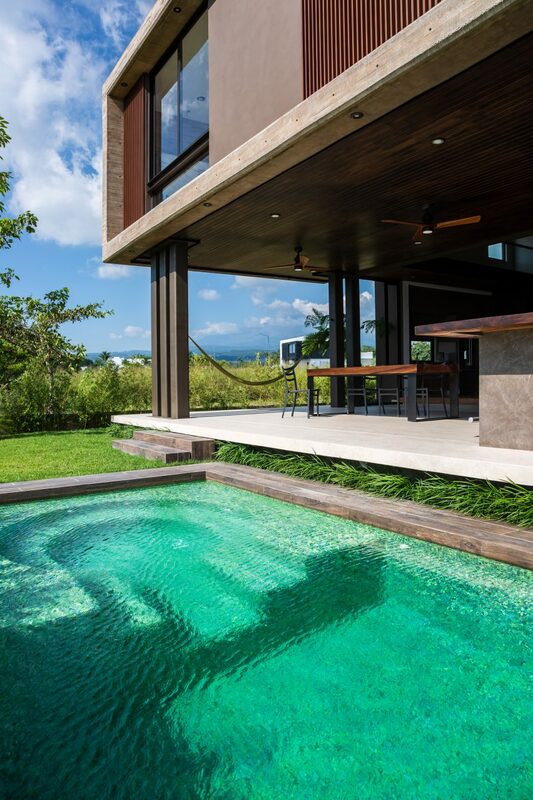 These earthy tones suit the natural setting and were informed by the landscapes of Casa Nicté-Ha – a Mayan legend that gives its name to the residence. In the tragic love story, a royal warrior falls in love with Nicté-Ha – the daughter of the guardian of cenotes. The girl dies and is transformed into a water lily, while the heart of the prince into a red bird. 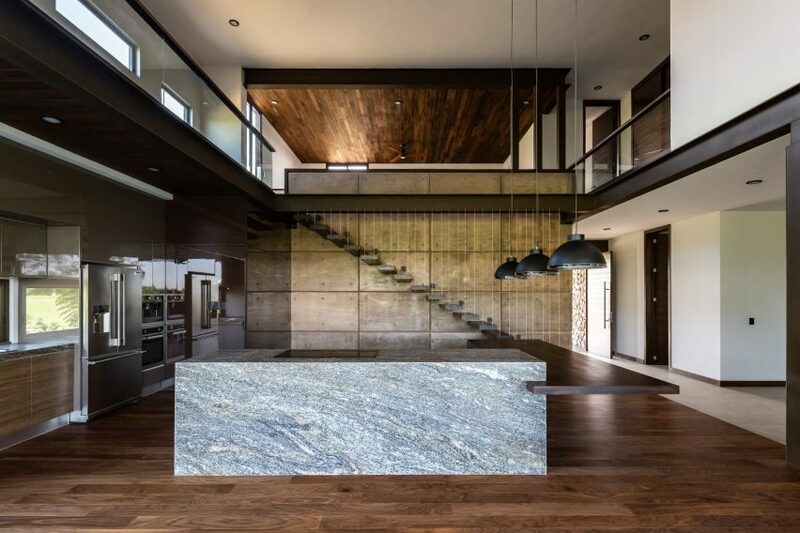 In Casa Nicté-Ha, a dark rendered two-storey volume is slotted into the middle of the house. Cobbled stone walls flank either side to make up the rest of the ground floor level, as well as lift the board-marked concrete volumes that complete the floor above. A cantilever juts out from the street-facing facade, to create an overhang above the front door and a covered two-car garage. Wood slats cover windows around the house, adding privacy and blocking sunlight from entering. A flat roof topping the residence enhances its angular construction. Each of the interlocking volumes is designed to host a different function. At the rear of the residence is a covered outdoor dining room and bar, accessed from a sliding glass door. A series of steel pillars on the left side support the volume upstairs.